In these days, accessing the wireless broadband is a necessity for small businesses and home offices. While many routers are offering good features to the users, most of them still come with certain flaws making it harder for users such as limited security and confounding setups. 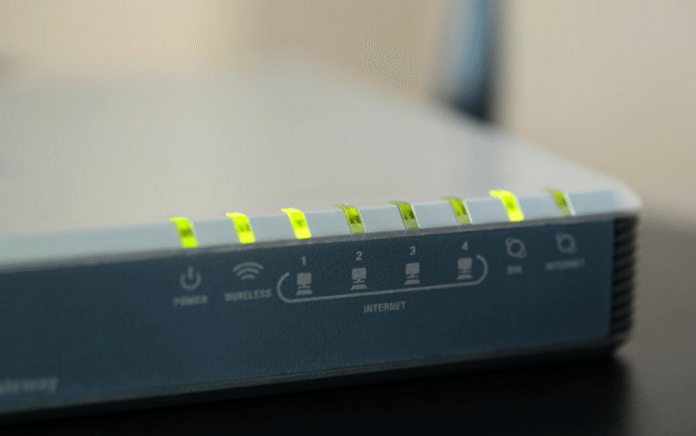 Here are some of the five common router problems that annoy the users often. Even though router manufacturers offer a user manual they failed to provide solutions for every problem. People can also find the solutions for these common problems in this article. They can try the possible solutions to make things easier when accessing the wireless or wired broadband. The problem people face with the router is taking more time to set up the router. They may encounter a problem when adding a new computer to the wireless network. Networks differ from one another and getting the perfect combination of settings is quite confounding. Even some experienced computer hands may not know the differences between the security settings or may not know that WPA2 can offer better protection than ordinary WPA and WEP. Solution: Several vendors have tried making things simple with one click connection button and easy setup manuals or CDs, but they failed in covering every possible circumstance. There are some router manufacturers whose setup instructions go an extra mile by detailing the order explicitly in which users have to plug everything in prior they run the CD. Almost all the routers have a web based configuration screen. As long as the user remembers the IP address, default password and username of the router, he must be able to obtain the setup screen and make adjustments. Many people spend their money on an individual NAS unit when they can use their router to share files. There are many routers with USB ports to get connected to an external drive for file sharing or backup. Even though plugging in an additional drive must be simple, getting the drive setup is not easy as you think. Some routers have a complex setup that users have to fill out while attaching a USB drive. It would be good to have a software application enabling the file sharing with no setup hassle. It must be easy to get the computers connected across the network to the shared storage either by using the SSID name of the router or default IP address of the router. Solution: Router models of Netgear, Linksys and Belkin are having USB ports for connecting an external drive to the device. Using the right software for configuring the external USB drive can fix this issue. Users have to check if they need anything on the Mac or windows device to get connected to the shared storage drive. Router firmware is one of the important lines of security on the network. This has to be updated regularly for better protection. Finding the firmware updates on the website of vendor is not for every user and many router vendors are not making it easy for their clients. Users need to bring up their web browser, visit the support site of the vendor and track down the updated version for the router model they are using. They need to download the updated file to their computer and to the router in the web control panel page of the router. Vendors have different versions for its every router model to complicate matters because they make improvements to their products frequently. More often they change the chip sets while keeping the same version number. Solution: Router users can choose the automatic update option, so that they do not have to perform the annoying process of downloading the updated software. They can check the update section in the web setup screen of the router to find if the router upgrades itself automatically. If a user has a needy neighbors or visitors to access the internet, you need to decide if you want them to get permanent access to the entire network. Even though you trust the person on the network, you may not know how good the security of that user’s device is. If a user gives a visitor his or her router password, he probably has to change the information after the visitor leaves the office or home. This is an annoying problem of certain router users. Solution: A good option would be granting the visitor a temporary guest access to use only the internet and no access to other things such as printers or shared drives. Vendors have started to enable this feature on their router models in several ways. Determining who can use the wireless network does not mean the network is secured. Users have to check who are using their router. If a user has not changed the default password of the router, he has to change it to maximize the security of their router. This can prevent other people from accessing your network without your permission. But, there is a problem with the changed password. Some users may forget the password of their router. They may also forget to check the users of the network regularly. Web user interfaces of most routers indicate who is using the network now, but finding the people requires router users to dig through several menus. Sometimes, the router manufacturer may hide these details under DHCP client list or give users the IP addresses as well as hostnames of the current connections. It would be helpful if the router notifies the user every time a person connects to the internet. Solution: There are many business-class wireless monitoring software applications or tools. These tools prevent people outside the border to access the router or internet connection. These tools can be used in home or business wireless broadband connection to make the connection out of reach for people other than home users or employees in a company.